An Auburn team is working to improve STEM education in the Southeast. A team led by Auburn University Materials Engineering Assistant Professor Edward Davis has been awarded a $650,000 three-year grant to improve science, technology, engineering and mathematics, or STEM, education in the Southeast. The award is part of a continuing effort sponsored by the Office of Naval Research to improve the quality and diversity of the future Navy and Marine Corps technical workforce. The Auburn team includes Virginia Davis, an Alumni Professor of chemical engineering, and Educational Foundation and Leadership Associate Professor Joni Lakin. Together with P.K. Raju, the Thomas Walter Professor Emeritus in mechanical engineering, the team was previously awarded a prestigious National Science Foundation Nanotechnology Undergraduate Engineering grant. The results of that research inspired the approach taken for their winning proposal to the Office of Naval Research. The team was awarded the grant based on the novel idea to address Department of Navy STEM workforce pipeline issues by utilizing pedagogical techniques that focus on the motivations and life goals of millennials and generation Z. The project will enhance education efforts at the critical 9th- through 12-grade level by focusing on the significant challenges that science and technology can eventually solve. 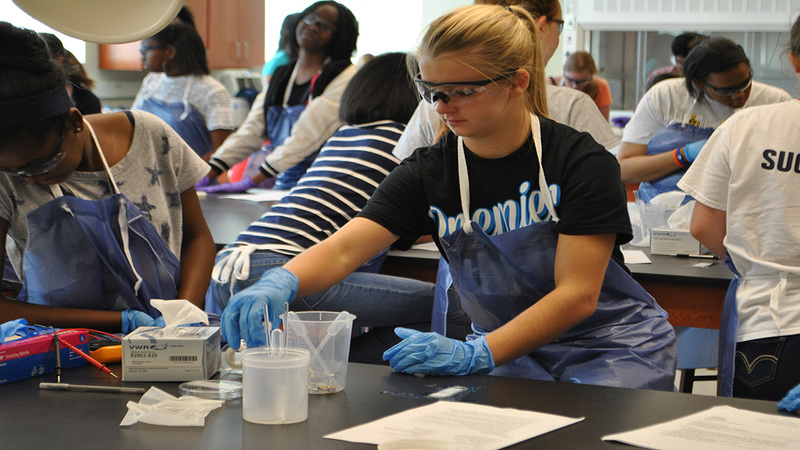 "Focusing on the challenges that STEM will address in the future captures students' imagination and motivates them to study science and math with a purpose," Edward Davis said. "When the challenges align with the students' values for sustainability or helping others, the interest inspired can be long-lasting." As part of the effort, curriculum units are being developed that highlight the positive social impacts of engineering solutions and naval STEM careers, both uniformed and civilian. These units will leverage students' desires to make the world a better place and encourage them to pursue STEM careers in general, and STEM careers in the U.S. Navy in particular. To highlight how STEM skills apply to naval careers, the project team will engage Auburn alumni with naval careers in sharing their perspectives and experiences relative to STEM development needs. To do so, the project leverages the significant support of Auburn alumni through the development of a Naval Career Ambassador program. The Naval Ambassadors will highlight curriculum unit relevance and serve as role models for students through in-person and virtual interactions. Interviews with these alumni about their Navy or Marine careers will be recorded and used to create digital resources included with the curriculum units and for stand-alone use. "My team and I are very excited for the opportunity we have been given," Edward said. 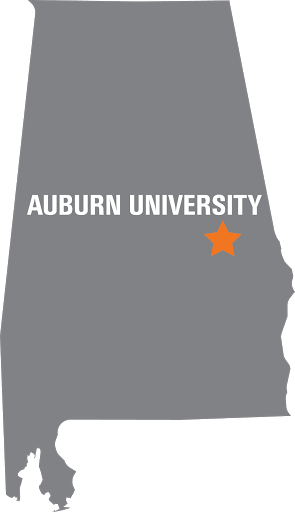 "In this case, we have the added benefit of working with the Auburn alumni community to effect real improvements in STEM education." While the team already has a core group of alumni working with it, team members are always looking for additional interested alumni. If you are interested in joining the effort, please contact Edward Davis at ewd0001@auburn.edu.